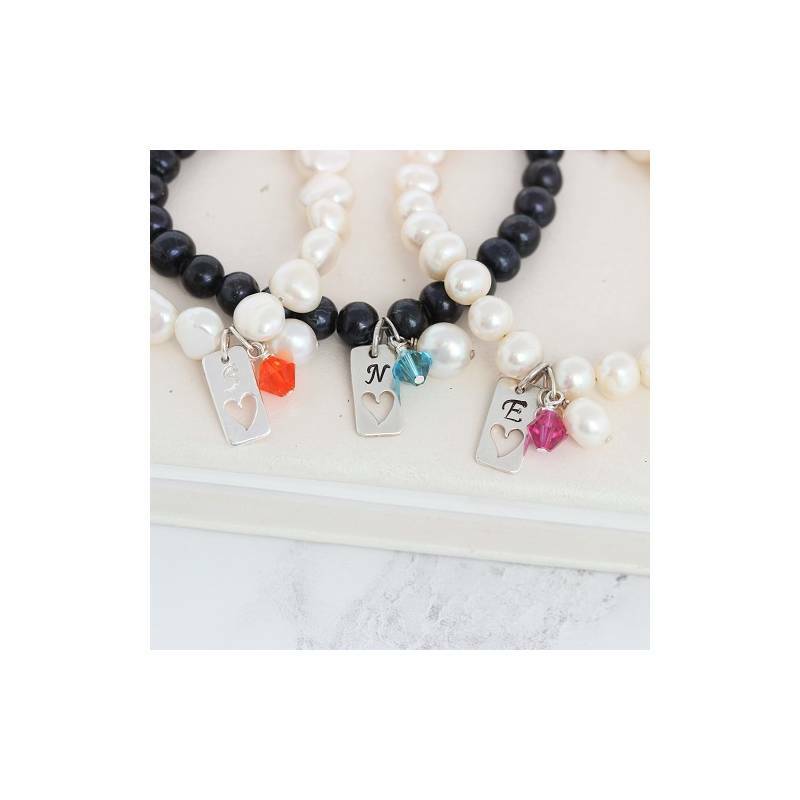 This personalised pearl bracelet with a tag charm make a beautifully personalised gift for a loved one or a friend, either as a leaving present, birthday, Christmas or just a little pressie from you. 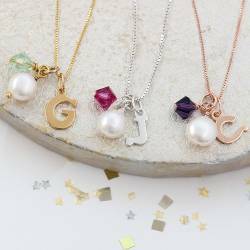 This gorgeous collection is all about pretty, dainty gifts with a special personal touch. 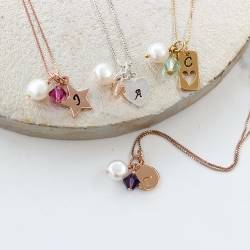 These personalised pearl bracelets will make unique and individual gifts for your bridesmaids. Alternatively this would make a beautifully personalised birthday gift for a loved one. The silver charm can be hand stamped with an initial and patinised so it stands out (black finish) or we can leave it silver (clean finish). The font used is upper case Calligraphy and the letters and numbers are approx 3mm high.We can stamp one initial onto the front of the rectangle charm. It is complemented by a Swarovski crystal and pearl cluster with a tiny silver heart. You can select the colour of the Swarovski crystal, which come in a myriad of different colours. If you can not see the one that is perfect for you please email and we can try and find it. The standard colour can be found in the image of the pearl and crystal cluster charms. The images also show other possibilities, not listed as standard colours. 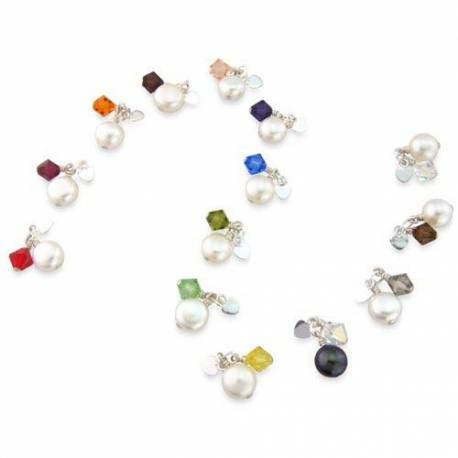 You can also choose the shape and colour of the pearls in the bracelet. There are round in black or white and beautifully white natural baroque shaped pearls. All bracelets will be finished with a Sterling silver trigger clasp and extension chain. So you can get the perfect fit.